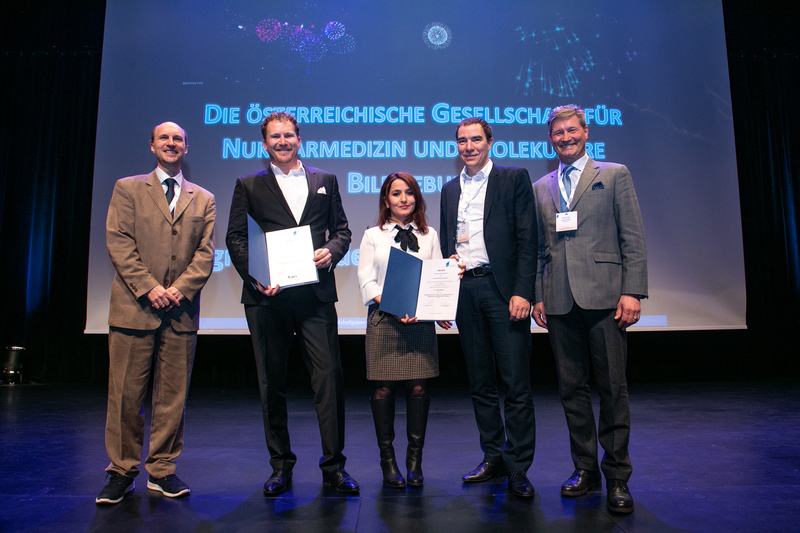 The 13th National OGNMB Congress took place from the 23rd to the 25th of January 2019 in Zell am See (Austria), a township in the state of Salzburg with 9852 citizens. 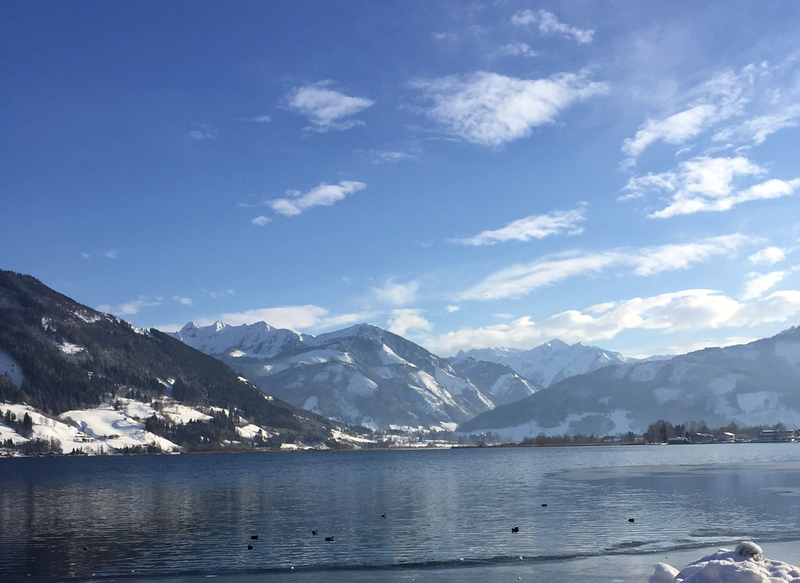 Zell am See is loved as a destination thoughout the whole year, since it offers great possibilities for skiing and other wintersports as well as hiking in the summer. 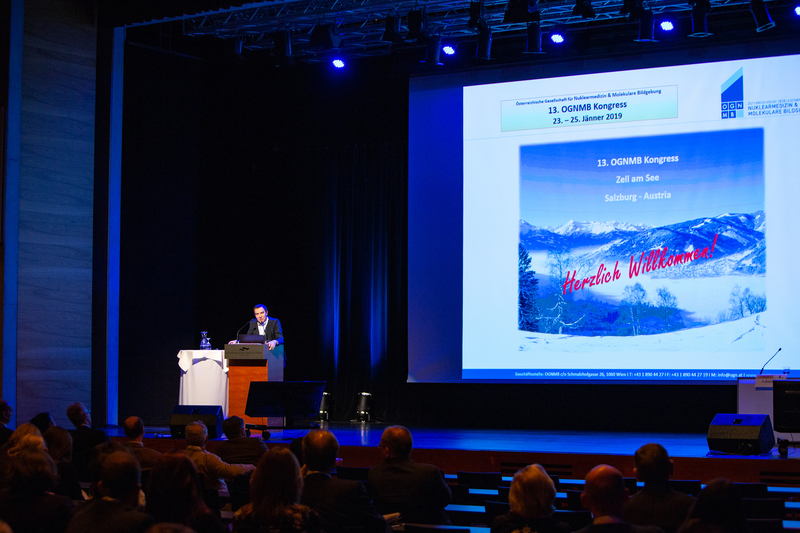 Zell am See is also the traditional location for the National Congress of the Austrian Society of Nuclear Medicine & Molecular Imaging (OGNMB). 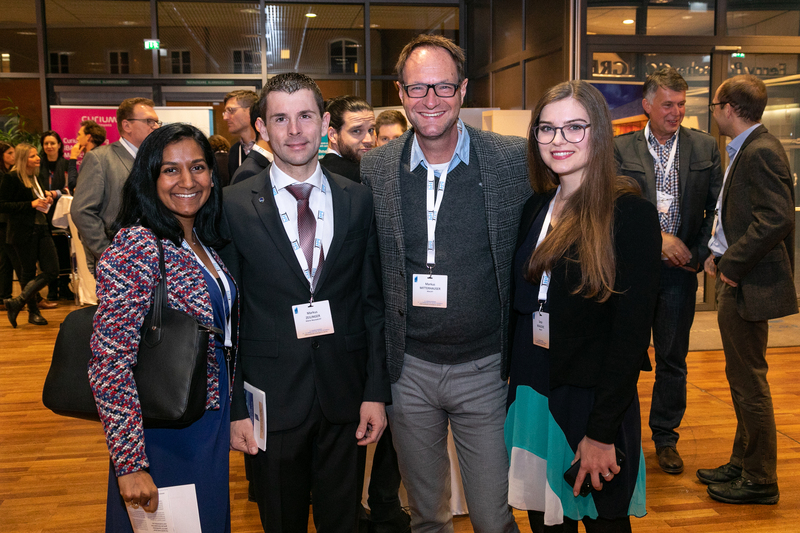 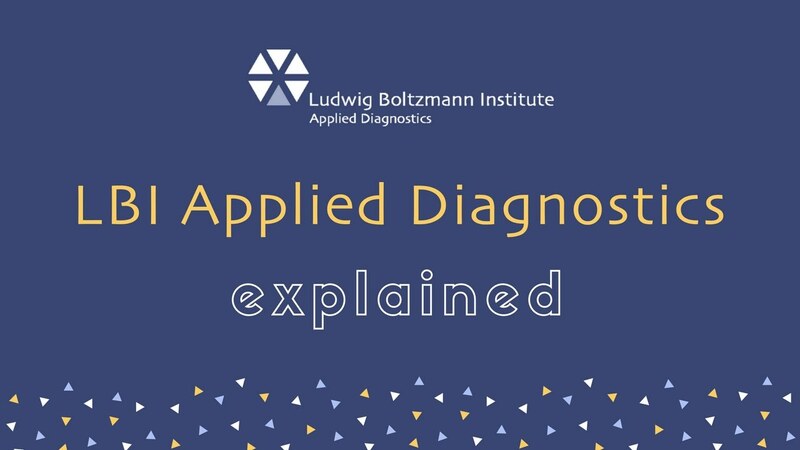 For this year's congress, clinicians, researchers, physicists and radiology technologists came to visit the lectures and attended the additionally offered educational programmes. 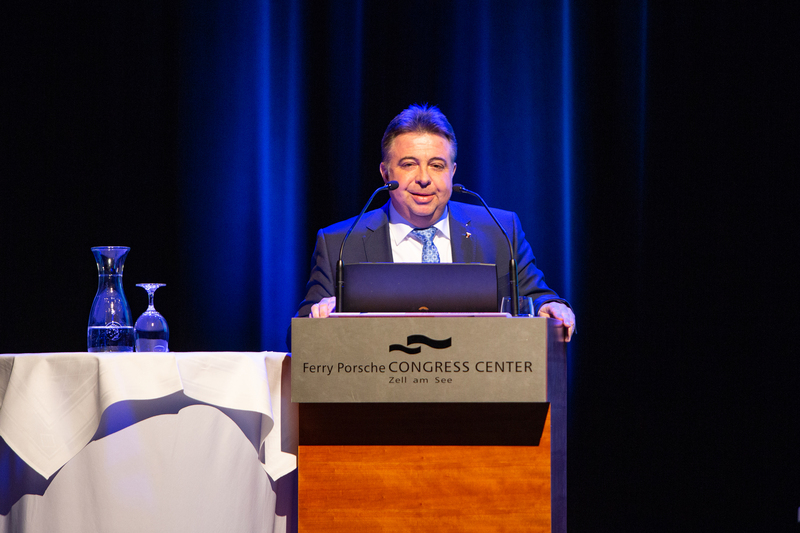 Also the industrial partners were represented in the exhibition area of the modern Ferry Porsche Congress Center. 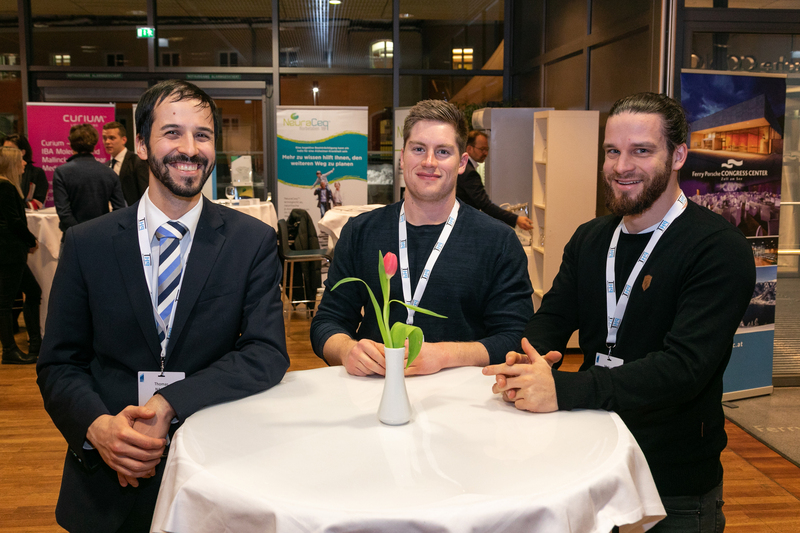 Authorities from Austria as well as international clinicians shared their experience with the attendees. 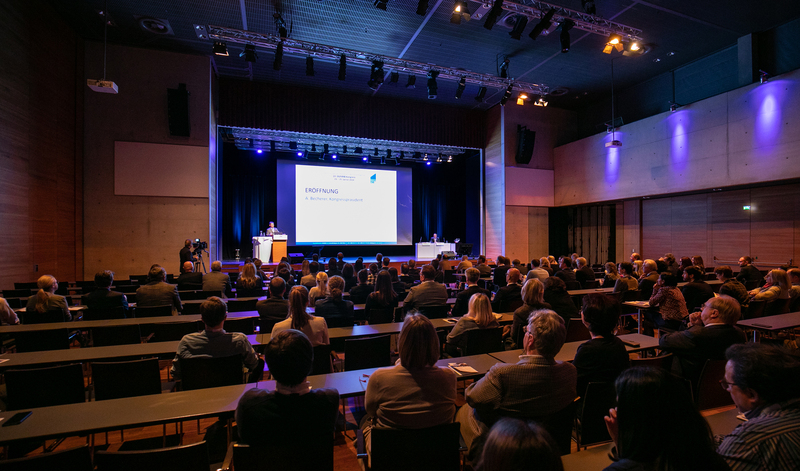 The lectures covered the full range of diagnosis and treatment in molecular imaging. 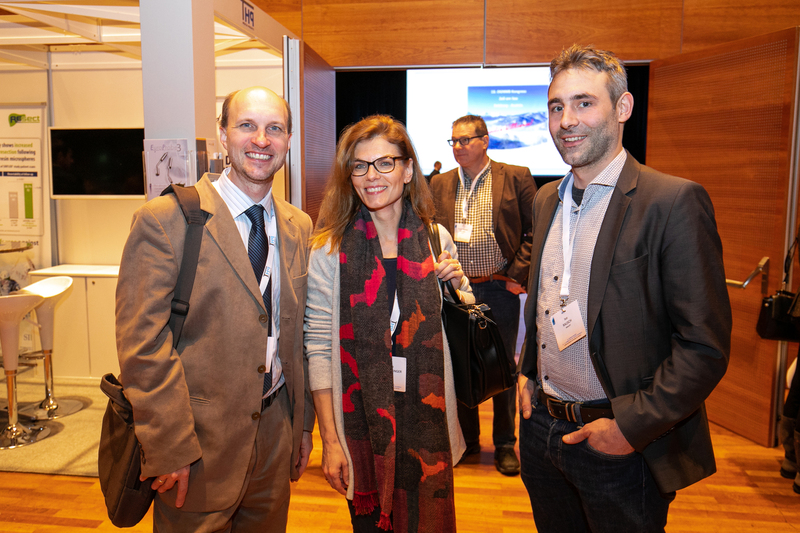 Furthermore, round table discussions were introduced, covering the two topics “The Future of Nuclear Medicine in Austria” regarding the professional training and “Onco PET/CT in the interdisciplinary setting”. 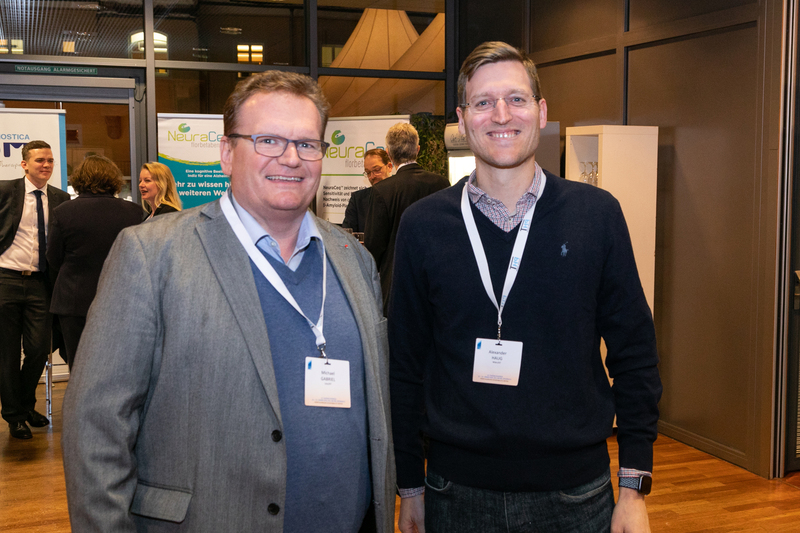 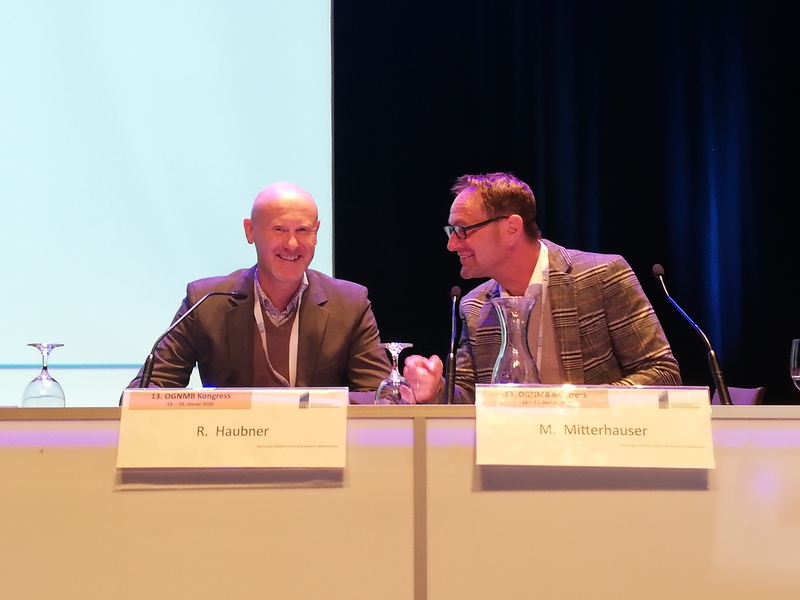 Our director, Markus Mitterhauser together with Roland Haubner, radiochemist from the University Hospital for Nuclear Medicine in Innsbruck, chaired the session “Radiopharmacy & Translational Imaging: Innovative Ligands for oncological PET Imaging”. 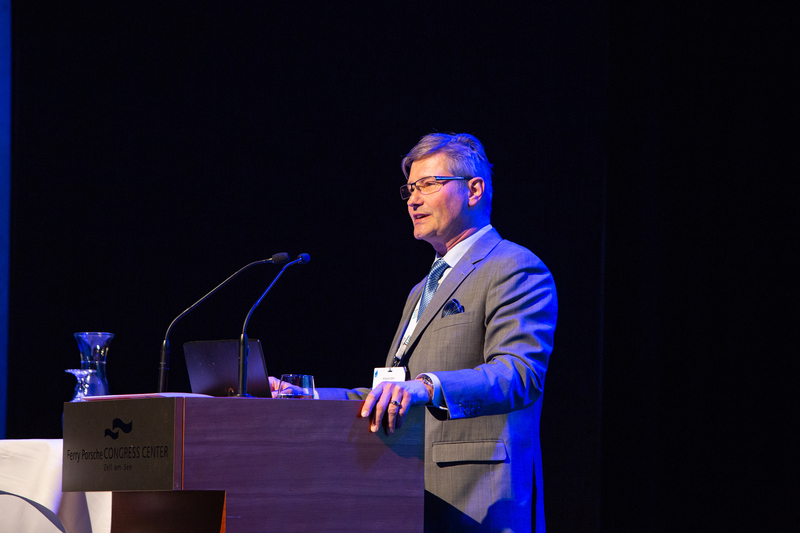 One of this session's lecturers was Thomas L. Mindt, program line leader of Imaging Biomarkers. 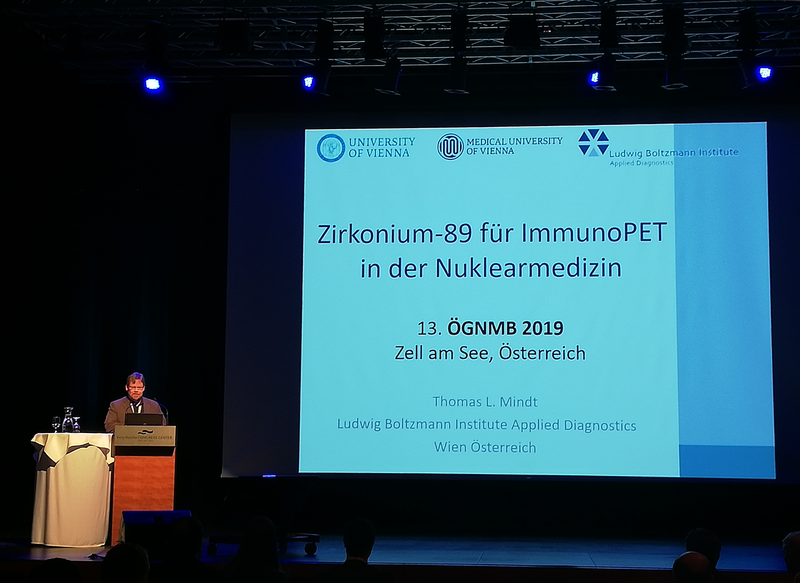 In a thrilling and informative talk he gave insight into the topic of “Zirconium-89 for ImmunoPET in Nuclear Medicine”. 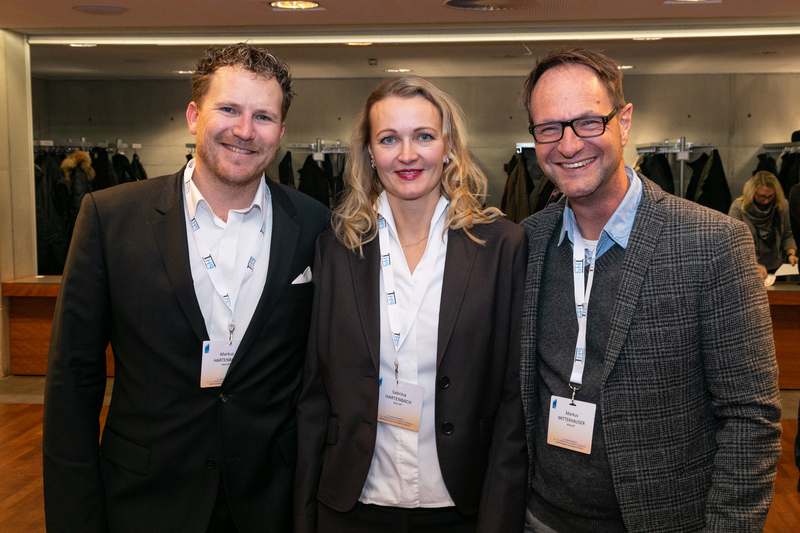 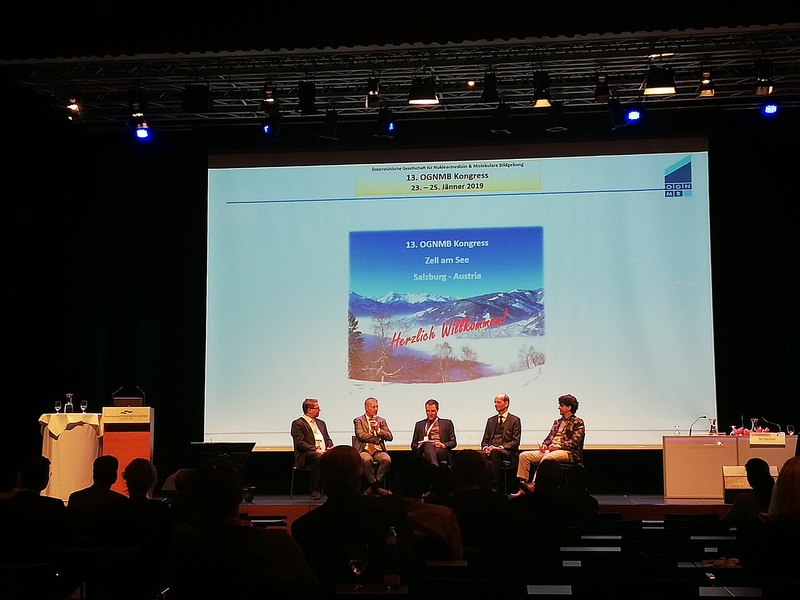 As a further important event of the OGNMB congress, the Radiology Technology Symposium took place, this year with the emphasis on new radiopharmaceuticals, technologies and the new aspects of the radiation protection law. 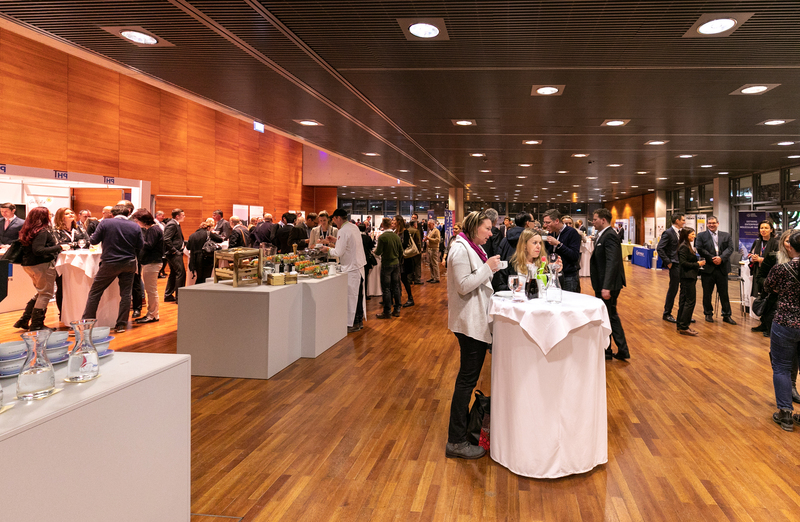 Moreover, an attractive highlight was the evening event on the second congress day. 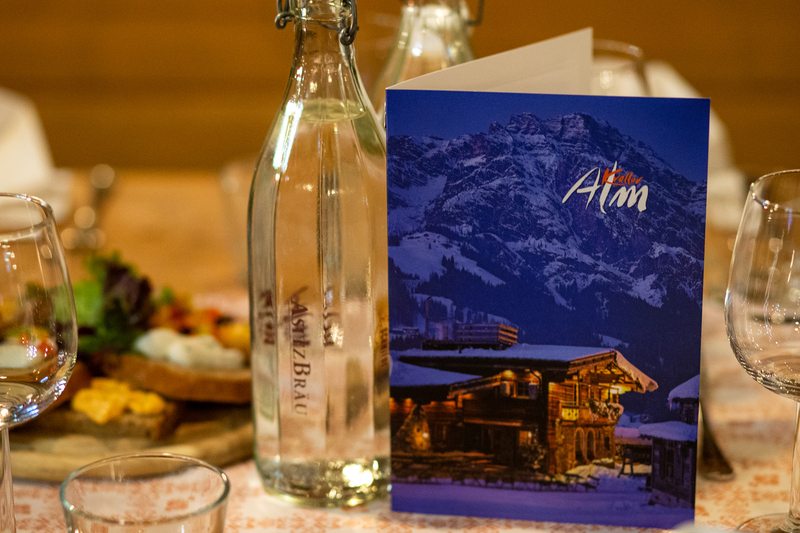 The participants were invited to the traditional “Hüttenabend” at a mountain-lodge to have dinner together, but also to intensify the social networking. 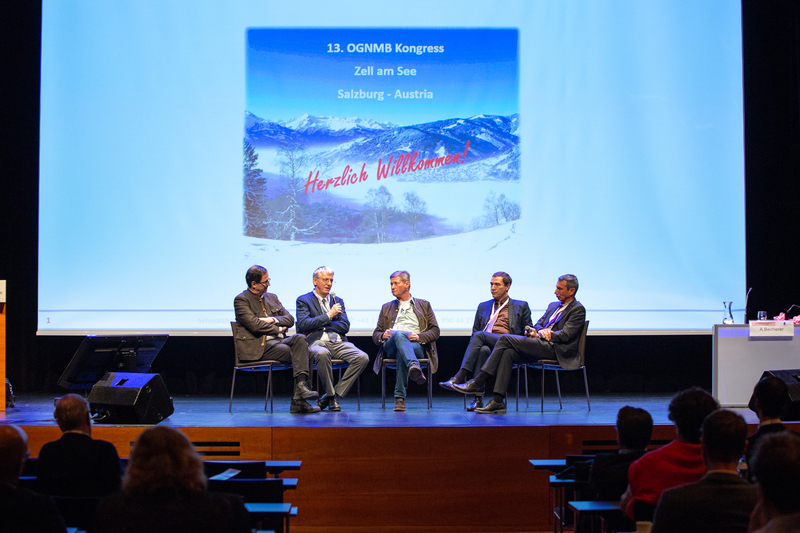 We are already looking forward to the next year's OGNMB congress, which will be within the 34th International Austrian Winter Symposium in Zell am See from the 22nd to 25th of January 2020.